Much like a freight forwarder or logistics expert on exports, licensed customs brokers are individuals, associations, corporations, or partnerships that are licensed and regulated by the U.S. Customs Border Protection (CBP). Here are the six things you'll need to know to become a customs broker. To become a customs broker you must be a U.S. citizen, be at least eighteen years of age, be of good moral character and not be a federal government employee at the time of the customs broker exam. If all of those apply to you, move on. If even one of those items doesn't apply to you, stop here. You cannot become a customs broker at this time. Knowledge of importing means you must have an understanding of entry procedures, entry requirements, valuation, fines and penalties, classification, and the rates, duty, taxes and fees for imported goods. As a licensed broker, you submit necessary information and appropriate payments to Customs Border Patrol (CBP) on behalf of its clients and charge the clients a fee for this service. It is important that you demonstrate responsible supervision and control during the import process. You will demonstrate this by passing an exam. The exam is given at most CBP service ports on the first Monday in April and the first Monday in October. Make sure you apply at a port where you want to practice or transact customs business as a broker. You are responsible for bringing proof that you meet all the eligibility requirements as noted in No. 1 (e.g., photo I.D., proof of registration). The examination lasts four hours and consists of 80 questions. Each question has a single best answer (in some cases as noted below, there can be two different acceptable answers); however, there is no penalty for guessing so you should answer every question. To pass the exam, you must achieve 75 percent correct answers or better. Should you fail to pass the exam, you can retake it until you pass. A recent college graduate received her individually licensed U.S. Customs broker's license on December 5, 2009. On January 31, 2012, the individual is convicted of smuggling narcotics into the United States through the District of El Paso. On April 2, 2012, the broker applies for a District permit in Laredo, Texas. Which of the following statements is NOT true? a. U.S. Customs and Border Protection (CBP) may suspend the individual's license for a period not to exceed one year. b. CBP can revoke the individual's license. c. The Port Director may deny the issuance a District permit for Laredo, Texas. d. CBP may revoke the permit issued through El Paso. e. CBP may immediately revoke the broker's license. The answer is noted below. The fee for the application is $200. There is also a fingerprint check and processing fee. As an applicant, you must undergo a background investigation that includes a fingerprint analysis and a review of character references, credit reports, and any arrest record. Note: Arrests or convictions do not necessarily preclude the issuance of a license. There are three levels of review: multiagency background investigation, a CBP port director secondary background investigation, and lastly, the same CBP port director forwards a recommendation to CBP headquarters in Washington, D.C. The Assistant Commissioner, Office of International Trade, will advise you on whether your application is approved. The length of time it takes to complete the license application process can vary depending on multiple factors, but generally, an application can take anywhere from eight to 12 months to process. Where to go for more information? 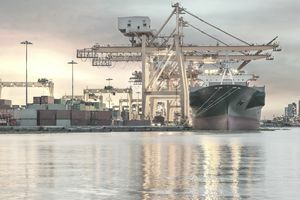 What Is a Commercial Export Invoice?